We left Boulder on a Thursday with vehicles loaded. Our destination was a nameless road in the desert. J and I were joining 8 other people on a canyoneering trip before heading to Moab for some biking. The adventure started with the drive and our 2 car caravan. It was snowing in Boulder, so we knew it would be an interesting drive over the Rockies. Soon after Idaho Springs on I-70 we saw a sign saying that the interstate was closed from Copper to Vail Pass. We stopped in Silverthorn to get a bite to eat and figure out what to do. We decided to take Independence Pass to Leadville and down to Vail instead of waiting for the interstate to open. It was slow going but the roads weren’t too bad. Once we got back to the interstate we made a group decision to stop somewhere for the night. We camped just before the Utah boarder at a random recreation area. The next day we continued our drive and ended up on a nameless road south of Hanksville. We were psyched for the canyoneering but didn’t have a clue what we were getting ourselves into. All I knew about canyoneering was that you rapped down into the canyon and somehow got out. We set up camp and set off for our first canyon called Arscenic. There was one long rappel at the beginning and then we spent the rest of the day making our way to the main canyon where we hiked out. The concensous after the first day was that canyoneering was awesome. The next day we did the same thing except in a different canyon, 4 rappels instead of 1, and 10 people instead of 5. We had a blast and learned that you can really rappel off a rock wedged between the canyon walls. After we hiked out and back to camp we made dinner and sat around the fire having a grand ol time. We packed up camp and headed to Moab on Sunday. We spent our first day in Moab at the Sand Flats campground. From out site we were able to scramble up a rock and take some amazing pictures of the Sand Flats area and the La Sal Mountains. Once the sun set we headed down the rock and true to Chelsey fashion I stumbled and bruised me knee really good, which made the down climb a little more difficult. We biked the Slickrock trail on Monday. We chose to not take my camera so all the pictures from the bike ride are from our phones. We had a blast and I was reminded of how much I love mountain biking. We moved campsites to a BLM campground along the Colorado River. The plan was to bike the Poison Spider trail on Tuesday, but we decided that we were tired and would rather take our time packing up. We spent Monday night taking long exposure pictures and painting with light. This was the first time we had really spent any time playing with my camera at night. The results are some awesome pictures. Have you ever played in the desert? Did you love it or hate it? 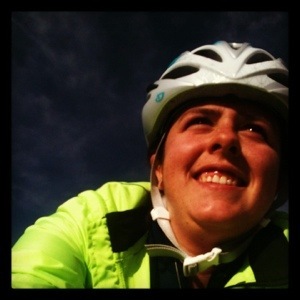 Posted in Biking, friends, Photography, Playing, Road trip and tagged Biking, camping, canyoneering, photography. Bookmark the permalink. Wyoming was our last stop (part 1, part 2, part 3, part 4). The plan for Wyoming was to visit a friend who was working on the Togwotee Pass for the summer. Her work schedule didn’t allow her to come and join us in the Tetons so spent a few days biking around Grand Teton National Park and Jackson before heading over the pass to go climbing with B. 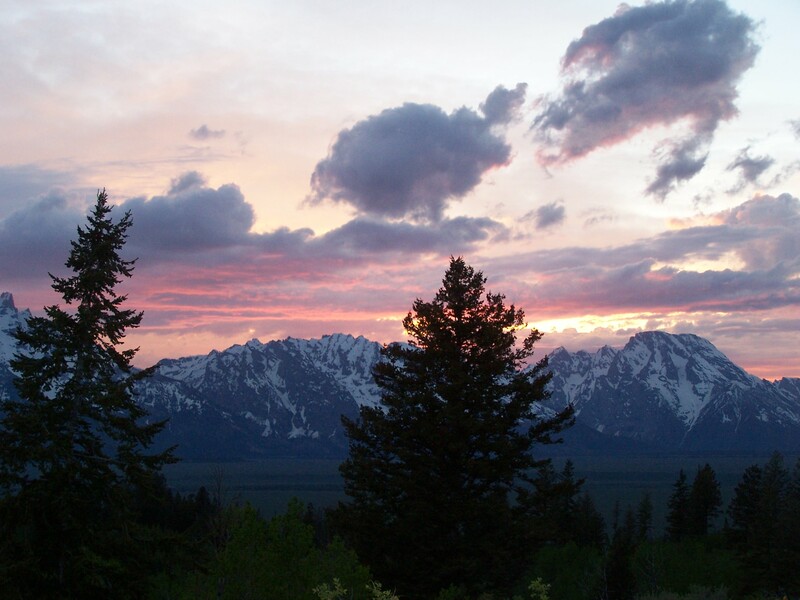 For some reason we only took pictures at our campsite in the Tetons. The essentials. Mountains, good drinks, and fresh creek water. Filtering the stream water we collected at the base of the hill and hauled up to the top in the truck. 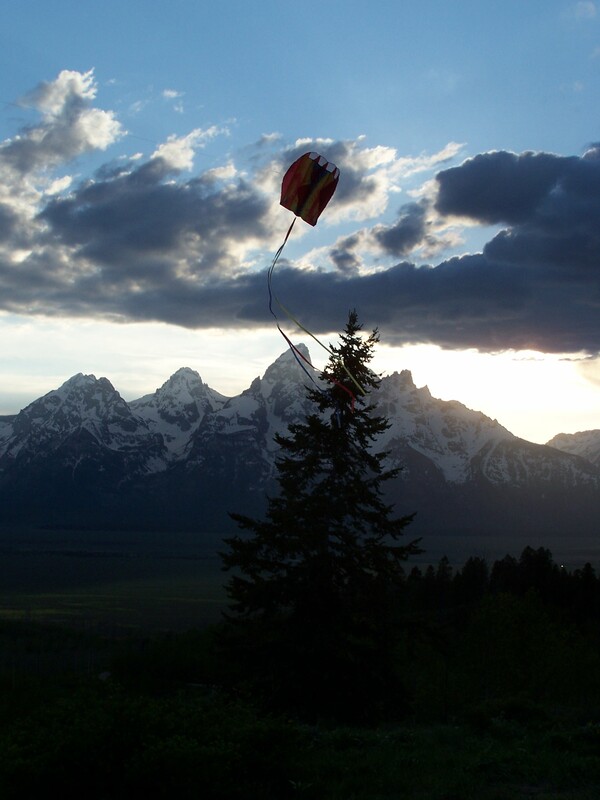 Flying the kite and watching the Tetons. The Grand Teton. We had planned to climb it but the snow was still in the valley. My second favorite mountain range. Ever spent any time in the Tetons? After we left Oregon (Part 1 and Part 2) we crossed the bridge and started our drive through Washington. We drove up highway 101 and stopped in the Hoh rainforest for a hike, drove through Forks, and on up to Port Angeles. After Port Angeles we took a ferry to Seattle where we did a bunch of touristy things and biked around the city. We left Seattle late in the afternoon and drove up to the base of Mt Rainier and then started the drive to Wyoming. Feel free to ask about anything we did. The lovely landscape. So green. There was a part of the museum all about fears. This was the machine they used to see if you were afraid of falling. Part of the Experience Music Project was an area called church. I loved visiting the farmers market. We found the best sourdough bread at a little bakery in an alley. You could still see Mt Rainier when we went up the Space Needle at night. Ever been to Washington? What did you see and do? I do better with goals if I have a plan from the beginning. This year I want to get even more serious with my fitness goals. I have decided to work on one fitness goal each month. Some of them may have to be rearranged based on weather and my racing schedule. Posted in Biking, Goals, running and tagged fitness, goals, training. Bookmark the permalink.